Septimania, published last year and out in April in paperback, is Jonathan Levi’s second novel. His first, the much praised A Guide for the Perplexed, appeared in 1992. Lest that appear a sparse creative record, we should note that Levi, who co-founded the literary magazine Granta and who divides his time between New York and Italy, is involved in no end of art-making and arts-promoting. In addition to his novels, he has written, produced, or collaborated on a number of operas and major theatrical works, while also writing about arts, travel, and politics for publications ranging from The Nation to Condé Nast Traveler. His resume glitters with directorial positions and partnerships with such institutions as the Metropolitan Opera Guild, the Kennedy Center, Bard College, and the 92nd Street Y. A representative snippet from the biography on his website notes that he is “Co-Director of the Gabriel García Márquez Fellowship in Cultural Journalism in Cartagena, Colombia; Artistic Advisor for the Zaubersee Festival in Luzern, Switzerland; and teaches writing at the Yale Writers Conference and Under the Volcano in Tepoztlán, Mexico.” Under the circumstances, a book every quarter-century starts to look prolific. Moreover, in both of his stylish, globetrotting novels Levi is more than generous with thematic material. Septimania tells the tale of Malory, a young British organ-tuner who, while on a routine assignment at a Cambridge abbey in 1978, manages in rapid succession to fall eternally in love with the beautiful math prodigy Louiza, to meet a Zorba-like theatrical impresario who becomes his best friend and occasional nemesis, and to discover his own improbable pedigree as the direct descendent of the Jewish exilarch of Baghdad—and possibly of Charlemagne and Harun al-Rashid as well—thus making him heir simultaneously to the Islamic Caliphate, Holy Roman Empire, and the secret medieval Jewish kingdom of Septimania. Isaac Newton makes regular appearances as part of a 17th-century epistolary counterplot. Thus, Levi whips history, mathematics, politics, music, theater, and religion into his soufflé. Did I mention terrorism and 9/11? They’re in there too. 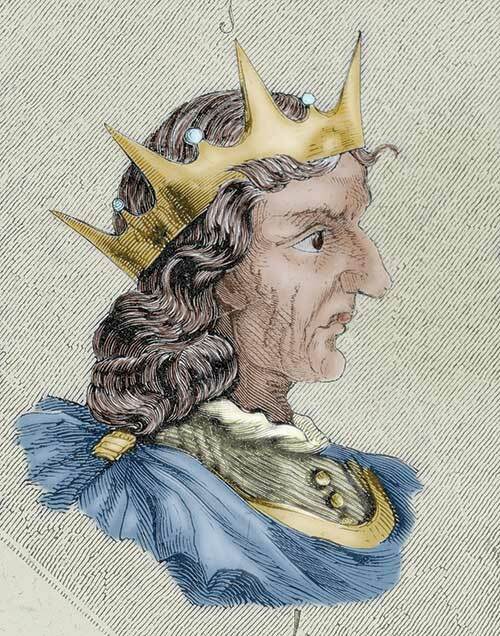 In real life, or as much of it as historians can reconstruct, Septimania was a name for the region of southern France that included the Jewish populations of such venerable cities as Carcassonne, Narbonne, and Toulouse. In the 8th century, the Carolingians reconquered it from Muslim rule. Some Hebrew chronicles and Provençal poetry dating from several centuries afterwards have it that the French rewarded the Jews for their assistance in the conquest with a considerable degree of political autonomy, in some versions importing a scholar from Babylonia to serve as communal leader. Levi leans on the most delightfully far-fetched version of these events, presented by historian Arthur J. Zuckerman in a 1972 Columbia University Press monograph, suggesting that Septimania constituted a full-fledged Jewish principality in the west and that its rabbi-king even married into the line of Charlemagne. (Or perhaps Charlemagne sought to marry into the line of King David.) I am happy not to wade into questions about the likelihood of this account—one reviewer of Zuckerman’s book judged that his thesis “strains credulity”—but the attractions of such a counter-history for a novelist are easy to see. Yet real kingdoms aren’t what Levi is interested in. His Septimania is not a place of Jewish sovereignty, diasporic or otherwise, but instead turns out to be hidden away in an underground Roman villa in whose extremely well-furnished and leather-padded library Malory secludes himself to read and write after his heart is broken. (Levi’s tenure at the writer’s retreat in Bellagio might be the model here.) Moreover, Levi takes pains to scramble the genealogy of his Jewish king, crossing it with Muslim and Christian stock and ultimately scattering the whole question of origins to the warm Italian breeze. In this, Septimania is a reprise of Levi’s first novel, which similarly traced his protagonist’s Jewish ancestry into a fanciful labyrinth of religious identities and then proceeded to pop the whole thing like a soap bubble. The fantasy of A Guide for the Perplexed is transposed in Septimania from Andalusia to Provence, but in both books Jewishness is offered as ironic cosmopolitanism, inseparable from the intricate arabesques of its sister cultures and pointless to try to separate out anyway. Where Septimania gains its considerable pathos is as a love story of exquisitely maddening deferment, since the novel’s hero, through sheer passivity, abandons his beloved to villains—twice—and boy loses girl for decades at a time. As a tale of desire, betrayal, regret, and acceptance, the book has a Princess Bride-like charm and ends with a pang. Yet Septimania also gestures throughout at real-world history, politics, and ideas, and here the book is mushy. The problem is not just the occasional over-prettiness, though at least some of the magic on offer in Levi’s novels is the glamor of a certain kind of wealth and cultural capital. His characters tend to be au courant academics, arts grandees, and jet-set types, and the view they proffer is like that from a Bellagio window, scintillating but remote. Now maybe the oranges in Rome are looking for love, and maybe they’re not, but there is a difference between aesthetics and history, and Septimania lyrically blurs the two rather than tracing the real edge between them. One also notices the absence of any mention of Israel, curious in a Mediterranean-spanning novel that is so concerned with Jewish kingdoms, history, and searches for home. “I’ve never been to Israel,” said the otherwise well-traveled heroine in Levi’s first novel, “But I have been to the Holocaust.” In Septimania, too, the king of the Jews jets from England to Italy to New York, but does not bother with that most intricate, enchanting, and, yes, cosmopolitan Jewish kingdom that includes the cities of present-day Jerusalem and Tel Aviv. But that is to push the novel where it does not wish to go. Levi spins a gripping love story, and to the extent that it is a Jewish love story it is one without Zion. And to the extent that it offers wisdom beyond this romance, it lies in Levi’s facility and fascination with storytelling. 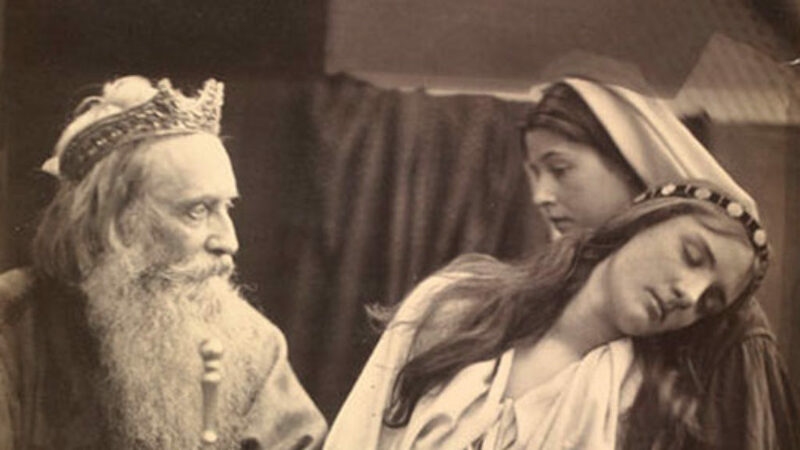 Fairytales and romance, from Scheherazade to the Brothers Grimm to Rebbe Nachman, are so often about royalty. 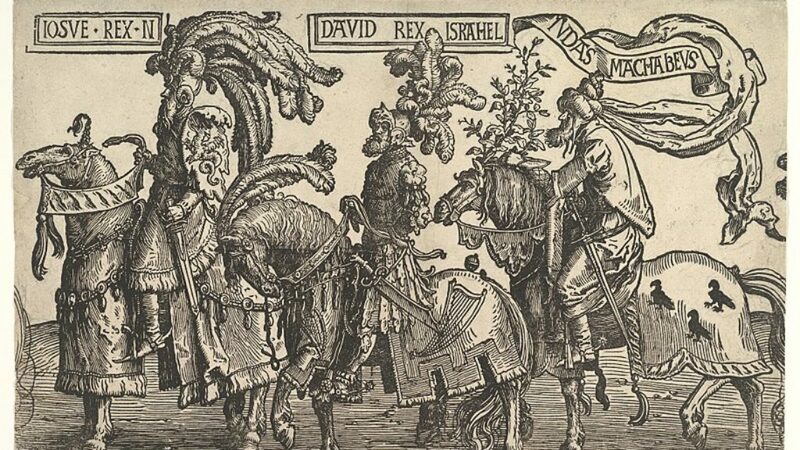 Levi’s tale of a hapless Jewish monarch suggests that it is not simply that stories are often about royalty, but that being in a story has the power to make one a king—if only of a private kingdom. In the four-plus years since the Arab Spring, regimes have fallen, alliances have shifted and re-shifted, and new (and terrifying) actors have appeared on the scene. The diplomatic and strategic assumptions of several decades seem to have been upended. Nowhere is this more dramatically apparent than across Israel’s northern border. 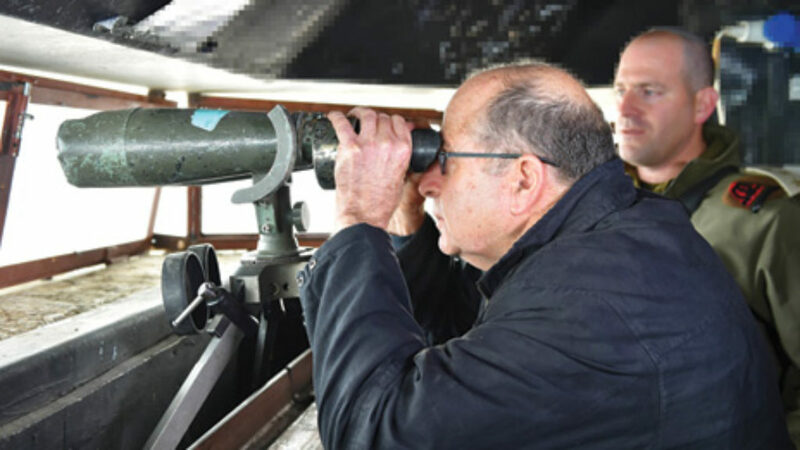 What, if anything, should Israel do about the Syrian crisis?